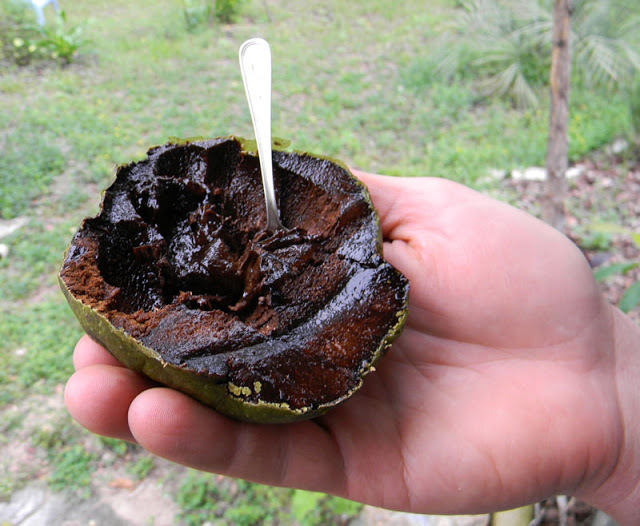 Home Fruit treesChocolate pudding fruit	Can You Grow Black Sapote From Seed… and will it make GOOD fruit?? Richard in South Florida recently sent me a question asking if you can grow black sapote from seed and have it make good fruit. Your tree will almost certainly do fine and make good fruit – I’ve never heard of a “bad seedling” and many chocolate pudding fruit trees are propagated by seeds. They vary in size and number of seeds, but they’ll be good. Also, I have heard that young trees produce smaller fruit and they will get better and bigger as the tree matures. I’ve found this to be the case thus far with the black sapote I planted in my parents’ yard in Ft. Lauderdale. It’s small and wasn’t of the best flavor, but the tree was young and they do get better and better. This makes sense as it takes a lot of energy for a tree to produce fruit. More leaves bring in more sunlight which produces more sugar for the fruits – and more roots bring up more water and more minerals which will enhance the size and flavor of your black sapotes. 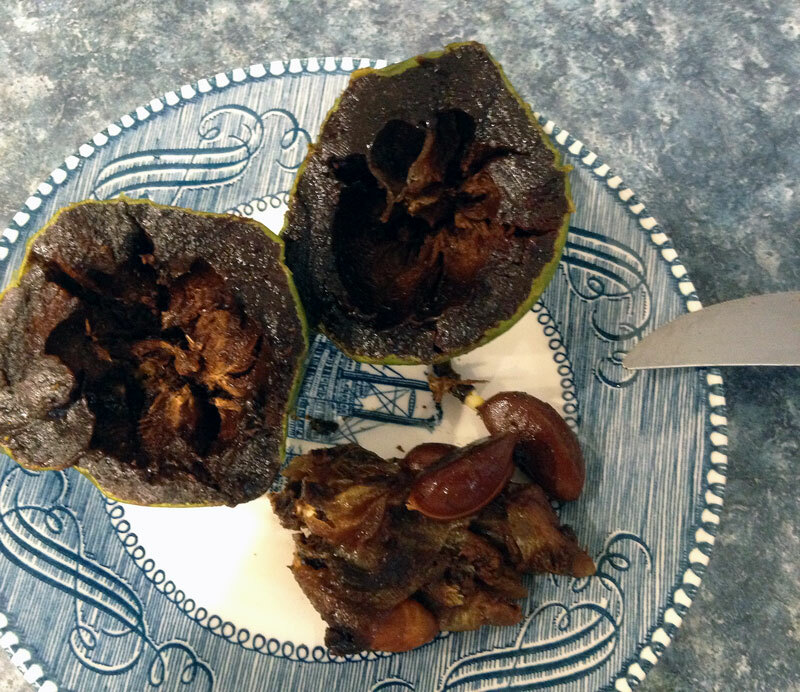 Like many tropical trees without real winter dormancy periods, black sapote seeds deteriorate in germination rates rapidly once mature. They need to be planted right away, if possible, for good success. if you get some and want to start them, plant quickly. I’ve planted some seeds that were a few months old and they didn’t grow at all. Like papaya, black sapote seeds need to get in the ground fast. How Long Does it Take a Black Sapote Tree to Bear Fruit? I hadn’t heard previously of there being some trees that are solely male; however, this is the case with their cousin the persimmon. If you did have that kind of poor luck, then I would simply graft on some female scion wood. Since many gardeners grow black sapote from seed and it’s the most common means of propgation, I can’t see that the “male only” thing is much of a problem. This may refer to grafted specimens, however. My black sapote tree fruited two years after planting and it had less care than you are giving yours. I started with a sad, marked-down, root-bound tree. I pruned the roots when it was planted to undo some of the damage and it has rewarded us with good growth. Keep the grass away from the trunk. Mulch is better than bare soil. Mulch really helped my fruit trees in North Florida to take off. 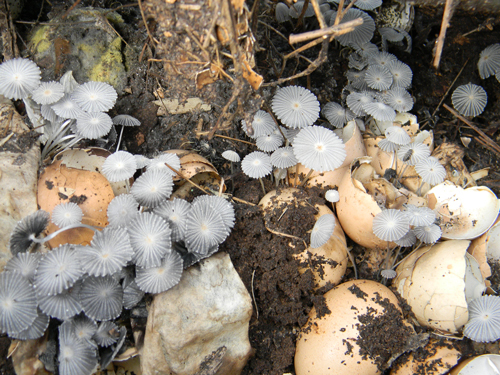 I also tossed a lot of kitchen scraps, waste paper and rough compostable materials around the base of my seedling peach trees and they went nuts. You can see me following this method in my film Compost Everything: The Movie. Following that up with regular feeding and compost tea was a help. Urine is also very good. Regular water is a must for quick growth. Black sapote trees are quite undemanding and are known for slow growth but you can definitely speed up their advance towards fruit-bearing. 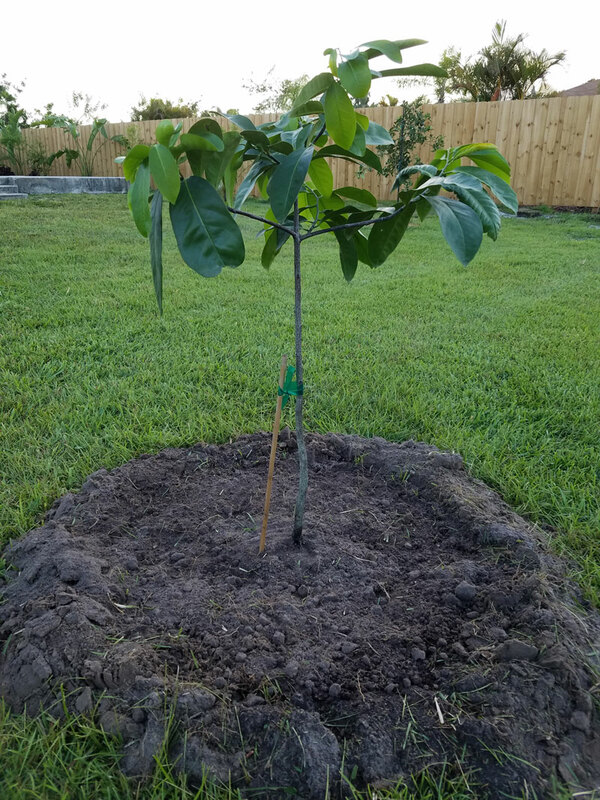 There’s no way a I wouldn’t grow a black sapote from seed if I have the chance… I’m always growing fruit trees from seed and had plenty of success, plus I’ve seen and documented many other success stories, such as Eddy’s avocado and these additional stories and photos here. My bet is that you get chocolate pudding fruit in three years or less. I am trying to subscribe, there is no box to enter my e mail. You bet. Thank you for letting me post your questions. 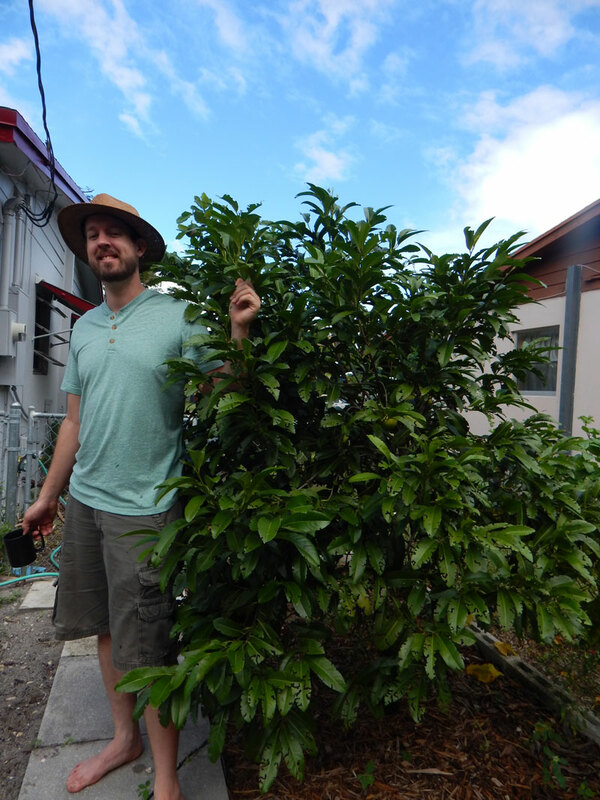 Hi Dave, I have a chocolate pudding fruit tree and have it in a back yard in Brisbane west. It about 8 years old was purchased as a grafted tree and has been a prolific flowerer, it has a flush of flowers im early November and a second flush in February, however of the hundreds of buds the tree produces in each flush, only a half dozen or so ever get to more bigger than a pea size before dropping off. I am on the verge of removing the tree and replacing it. I have been treating it pretty much as mentioned in your article, even adding trace elements, no improvement however. Any advise you can offer would be appreciated before the tree gets the chop. That definitely sounds like a pollination issue. The tree is probably a fine tree, it just isn’t getting pollinated. If you know anyone else with a black sapote, you could also graft a few pieces of their tree onto yours and the blooms from those branches shoudl pollinate the rest. Another issue may be lack of insect activity during bloom. You can use a paintbrush and hand-pollinate if that seems to be the case. If it’s a grafted tree, chances are quite high it’s not a male, and is a fertile tree, it’s just in need of some pollination – or cross-pollination. Hello, I would like to plant a black sapote, I can only plant one, bernicker is self fertile?, I have to plant it in a container, is a good tree for container. Thank you.